P wanted something for his office and it is AWESOME. Forty rhombic dodecahedra of awesome. 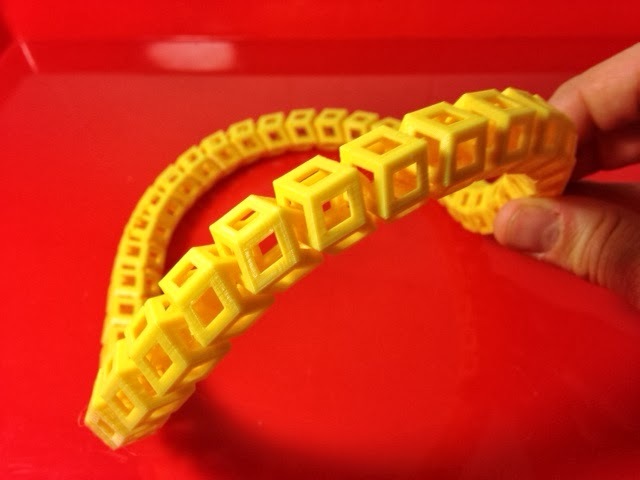 Printed from emmet's Dodeca Chain Loop on Thingiverse. Settings: MakerWare "standard" with no raft or supports, on the glass, for 4 hours and 4 minutes.